Easy blog networks, under the brand name of NiteoWeb Limited, focuses solely on creating the best tools for marketers. 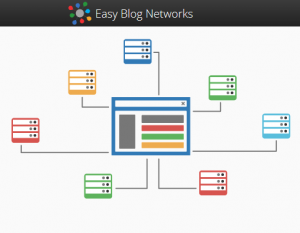 Easy Blog Networks is a Blog Network Hosting & Automation Solution for Agencies and SEO Professionals. It is built from the ground up for server & IP diversity, security, and speed and autopilot maintenance of your Private Blog Networks. Easy blog networks currently have over 5000 happy and satisfied customers over the years. It offers multiple services starting from PBN (Private Blog Networks) hosting and its complete hassle free maintenance. It also helps you to build a blogging network without any footprints in a matter of minutes their system manages it on complete autopilot. When an online business is concerned Easy Blog Networks is the way to go. I never have been a fan of PBNs as they are not really as promising as they sound. But, after EBN life seems easy. After using Easy blog networks for over a year now, I can actually speak for myself. I’m sure you will feel the same after you get to know the details below. Even though EBN is a very complex project but they’ve managed to pack all that immense power into a user-friendly interface that’s an absolute pleasure to use. I personally love their user interface the most but here are the most important factors which have made my life hassle free. Your blogs are hosted on different A-, B- & C-Block IPs, in different data centers and by different hosting companies. This way your private blog network profile looks completely natural. What tempted me the most to use EBN was their selection of some of the elite Cloud Hosting Providers like Amazon web services, Rackspace, DigitalOcean, Softlayer etc. They use a selection of 16 hosting providers and a total of 81 data centers. Using EBN, I can install and setup a new WordPress blog on a random server anywhere with the help of a few clicks. Trust me, it’s as easy as it sounds! Their system takes care of backups, security, performance and automatic updating of WordPress, Themes, and Plugins. I don’t have a technical background hence, I had the idea that, installing the software will be the most difficult task on my part. Only to be amazed how easy it is to install. The interface is extremely user-friendly and lets you setup your blog without any professional help. Unlike other hosting services where you have to manually update themes and plugins, EBN automatically updates all your blogs, plugins, and themes. Updating them is mandatory if you don’t want to run into any security issues, as without updates there will be some loopholes that can be exploited to hack into your blog. Ah, what a relief it was for me since EBN does it on my behalf! Easy Blog Networks optimizes all my blogs for performance. It stays secured against brute-force attacks, SQL injections, and other hacking attempts. As everything is backed up, in the case of any problems, everything is restored back to normal. So all you have to worry about is the content of the blog and not what goes on at the back end of your blog. EBN backs up all my blogs on a regular basis, which I can download easily later on to my personal desktop for numerous usage. No other hosting services provide this feature; instead, you have to install some third party plugins by paying a hefty amount. The daily backups provide a sense of assurance that, everything is safe no matter how precarious the upcoming time is. EBN creates randomized emails to use as forwarding addresses instead of the original addresses. Easy Blog Networks is smart enough do so, as it helps to protect our “Whois Information” and helps secure our digital footprints. This is an important feature as securing your IP address and email is the best way to defend your blog from hackers. Something I can vouch for is the customer support of Easy Blog Networks. They help you in the best possible way, to their best of knowledge. Other than being professional about every single problem you have, they are very friendly in approach. The technical support responds within a couple of minutes and without any further ado solve your problem with ease. In the competitive modern scene, where everything on the internet is way too pricey, at least, EBN is completely economical. Trust me on this. If you want to save some money and at the same time want a flawless hosting, Easy Blog networks is your guardian angel. Easy blog networks is not an SEO host as SEO hosts use their own IPs and DNS addresses but EBN uses everything owned by their brand hosting providers. Frankly speaking, it’s not a big deal and can be overlooked. EBN being fully optimized for simplicity, secure and easy hosting only hosts the most popular platform i.e. WordPress. While some may complain about it, I personally have no problem, since it’s the best platform for someone with limited technical knowledge. To avoid any kinds of controversies whatsoever, EBN doesn’t allow the hosting of illegal topics, hate speech, gambling, and adult content; which completely makes sense in my honest opinion. To drive traffic to their blogs, some may want to use adult content or something inappropriate which is uncalled for. You can purchase a maximum of 50 unique IPs. Although you may want more under certain circumstances, EBN provides a maximum of 50. All the IPs come from reputable providers of US, UK, Canada, and Australia. So Customers wishing to have IPs from different places may end up being disappointed. To keep the prices low, EBN is forced to forbid the hosting of videos, large images or any other large files for that matter. EBN advises not to use high traffic blogs (up to 10,000 visits) or demand any kind of custom installations. Easy Blog Networks meets all the imperatives and does so with flying colors. Their impeccable automated system has impressed me the most; easy to use, pragmatic and safe for private blog network hosting. There is nothing that can go wrong with EBN. With a few cons, that don’t even amount to much against the pros Easy Blog Networks is my personal favorite hosting service and I certainly recommend everyone to use the best service available in the market and see for themselves.